The Shady Oak stands majestically in the center of the downtown business district in historic Micanopy, Florida. A marvelous canopy of ancient Live Oaks, 19th century storefronts and quiet shaded streets provide visitors easy parking and pleasant walks to see "this unique Florida village that time forgot". Many visitors say the Shady Oak Gallery is the most interesting and most beautiful shop in Micanopy. Fine jewelry, crafts, gifts by local artisans, and many unusual collectibles from all over the world, make for a visual treat for all ages. 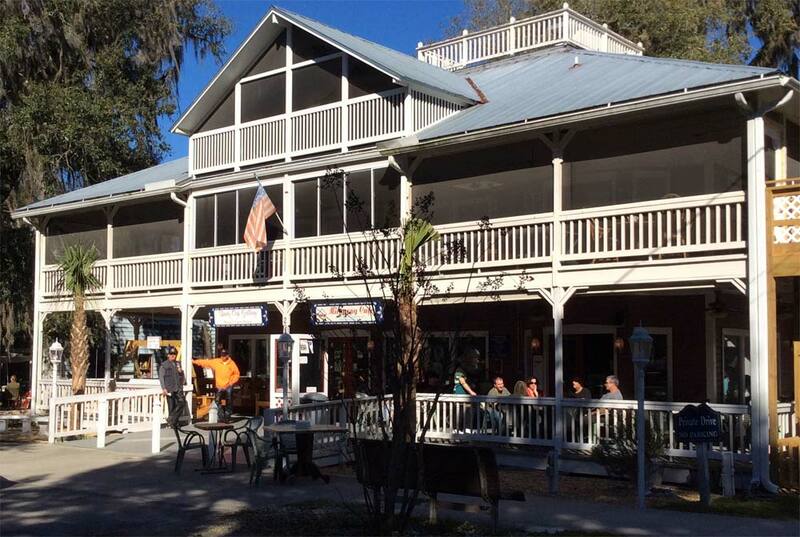 Micanopy Cafe shares the front porch for pleasant relaxation as you enjoy some good food and drink; and of course ice cream treats. Great coffee, beer and wine is available. Open daily 9a.m. to 5p.m. Above the Gallery and Cafe, the Shady Oak B&B served many guests until 2005. Ever since, Mr. James has opened his private home to many of those friends, past guests, and others seeking extended stay accommodations. We have several beautiful rooms and suites, each with a private bath. If you are wanting an affordable, clean, safe and friendly environment, ask one of our staff for a tour of this lovely home and the spacious common areas. There are many shops, 3 cafes, 2 very good restaurants and a museum to explore. Micanopy is convenient to all north central Florida has to offer.